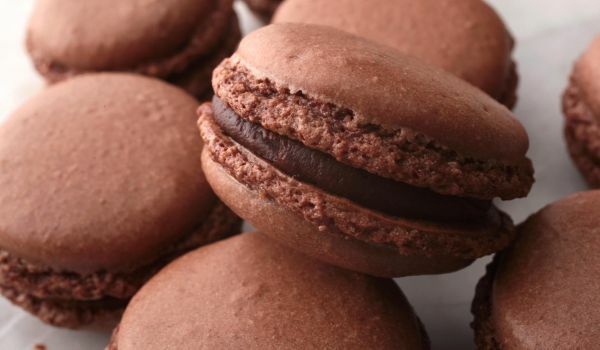 Chocolate Macroons are yummy small chocolate cakes that are relished by all kids and adults. Eaten as a dessert, these macroons are totally irresistible, and no one can stop after eating just one. Now take coconut, icing sugar and cocoa powder in a bowl and mix together. In a separate bowl, whisk the egg whites until foamy. Gradually add castor sugar, vanilla and continue stirring until well blended. Add the above mixture to the mixture of the first bowl and stir well. Now with the help of a tablespoon pour the mixture into a greased baking tray. Place it into a preheated oven and bake for 10-20 minutes. Remove from the oven and allow it to cool. Sprinkle some icing sugar. Serve with freshly brewed hot coffee.